Sometimes when I tell people that I scrapbook, I see their eyes start to glaze over as they visualize piles and piles of paper and stickers and punches and just stuff. That’s the traditional view of a scrapbooker – that you can’t scrapbook without a ton of supplies all around you. I’ve heard stories from former scrapbookers that they gave it up because it was just too messy. Or that there was too much pressure to create the perfect page. It can be messy but it doesn’t have to be. My scrapbooking has slowed down considerably over the years because I found that it just took so long to make an album. And the scrapbook was never done because I constantly took more pictures. 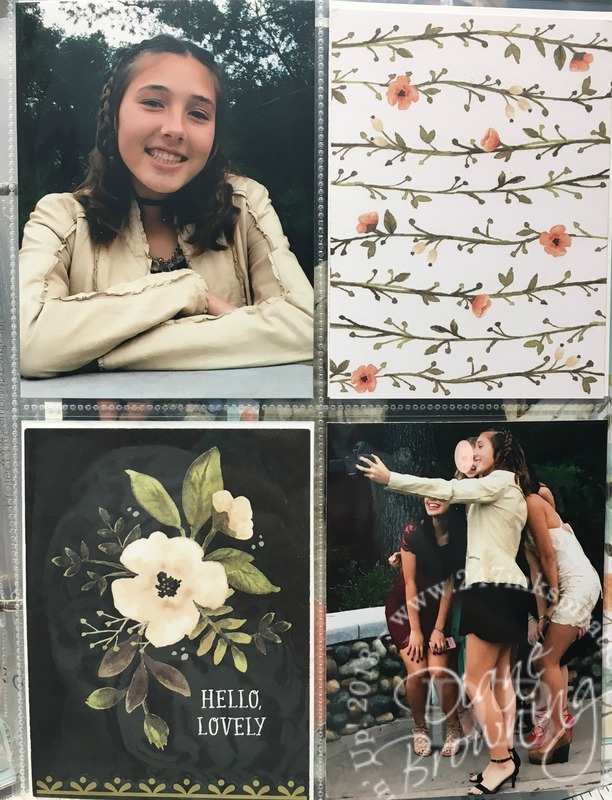 How could I continue getting photos into albums without it taking weeks and weeks to scrapbook our pictures? Several years ago, I came across Project Life and the pocket page style of scrapbooking. There are a number of brands that sell pocket pages and pocket cards. And I am in love with this low pressure style of scrapbooking. It seriously makes it so much simpler for me. I don’t have to worry about the perfect page anymore. It doesn’t matter if I only took one picture or one hundred pictures of an event. I print just a couple to represent what happened and I’m happy. Seriously, no one wants to look at the 89 pictures I took at Easter of coloring eggs, Easter baskets, hunting eggs, lunch, and all the family. I printed maybe 8 of them and I’m calling it good. You’re probably wondering, what are pocket pages? What is Project Life? Pocket Pages are simply sheet protectors that are designed to have pockets of varying sizes rather than just one big pocket. Project Life is one of the bigger name brands for this particular style of scrapbooking. 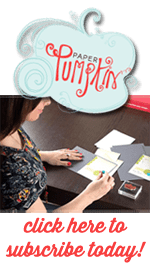 Project Life and Stampin Up partnered together several years ago to release Stampin Up specific card packs. Unfortunately the contract is up at the end of May and Stampin Up will no longer be selling the Project Life card packs. All Project Life branded items are on the Retirement List and some of them are discounted too. Now is your chance to snag some great deals and get your photos into books. This past weekend, I was at a scrapbook retreat hosted by AJ’s Craft Cottage. It was a ton of fun, lots of food, games and prizes, and crafting classes too. Plus, I even taught my Succulent Canvas Class To Go to the other ladies at the retreat. While I was there, I managed to get 24 scrapbook pages done in addition to everything else we had going on at this event. That’s a lot of pages to make considering it would have taken me weeks to do it the traditional style. Here are just a few of them. My son is taking AP Art History this year and he gets extra credit for visiting museums. 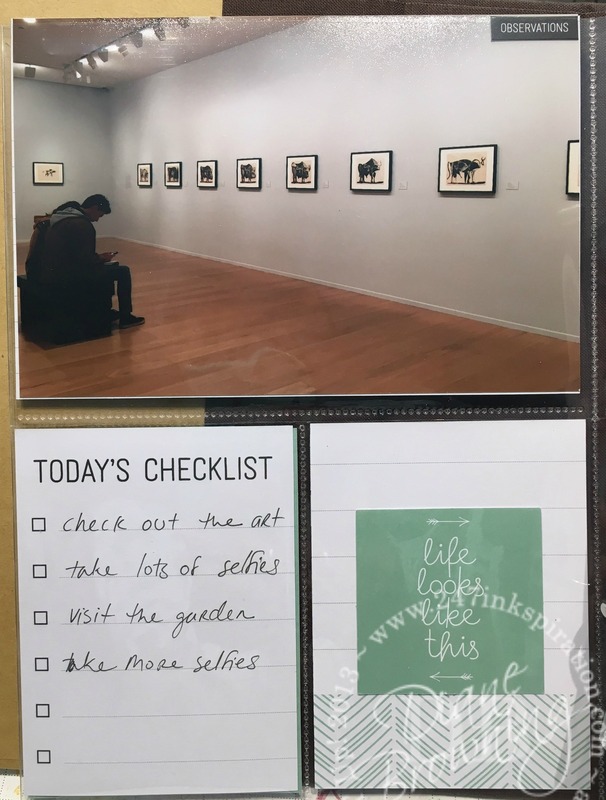 We went to the Norton Simon Museum and he had a list of specific pieces that he had to look for. The Norton Simon has an amazing outdoor sculpture garden, but it was flooded the day we were there. This was as close as we could get. We took about 150 pictures there because he needed them for class. And what teen can resist posing for selfies in a museum? We sometimes had to wait 15-20 minutes for a room to clear so we could get just the right shot. I could have included dozens of pictures here, but I chose to document all the selfies in my journaling instead. Another group of pictures I scrapbooked was Winter Formal pictures for both kids. I would normally have agonized over finding just the right paper and embellishments but instead with the pocket pages, I used the Hello Lovely card set, which matched the two photo shoots perfectly. You probably noticed that I blurred out one of the faces because she is someone else’s child. All of my son’s Winter Formal pics are group and couple shots so I’m not sharing them here as it would have been too much editing. Below is one of the styles of pages included in the pocket page set – and it’s s full size pocket for when you need a full size page. And last, but definitely not least, is one of my pages for my loyal assistant Frannie. She loves helping me out by emptying the trash can (all over the floor) and making sure things are put away (where only she can find them). She’s quite excellent at unspooling all the ribbon. Frannie is a small pup and she easily fits on top of my desk. She’s not very good at typing, but she has figured out how to use the track pad. Oh boy! I have to make sure I save frequently when she’s up on my desk. You’ll notice that I had a vertical picture of her and I cut it to fit the pockets. I really didn’t worry too much about the fact that I had to cut it. I’m happy to have it in the album and if I had to worry about trying to print it in just the right size, I probably wouldn’t ever get around to it. Instead of stressing over it, I have a completed page in my album.